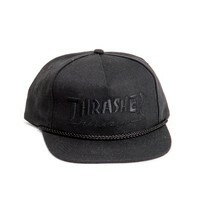 Murdered out Thrasher snapback with the rope. Features an embroidered Thrasher magazine logo, classy woven rope across the bill, and an adjustable snapback closure. Tan/Sand colored Thrasher shirt. 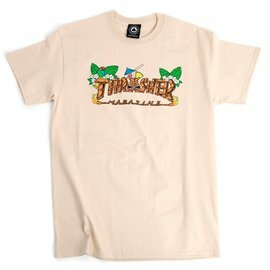 Font inspired by the Hawaiian culture. 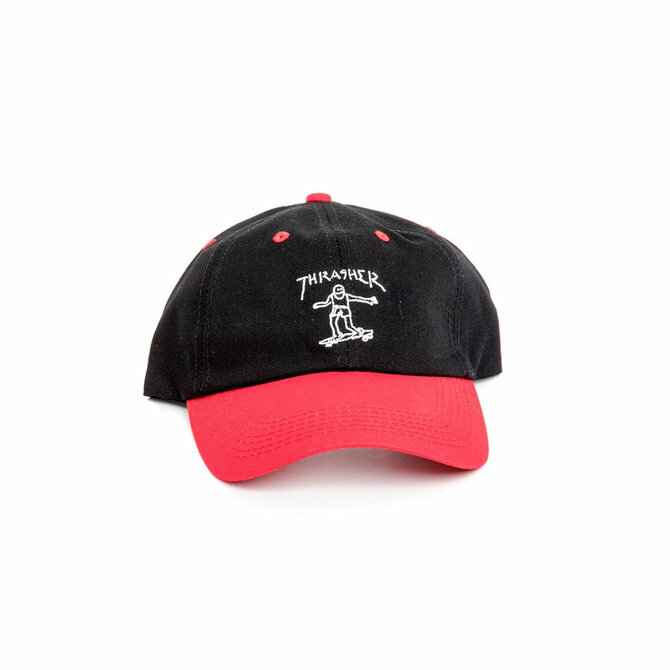 Black with the Red bill. 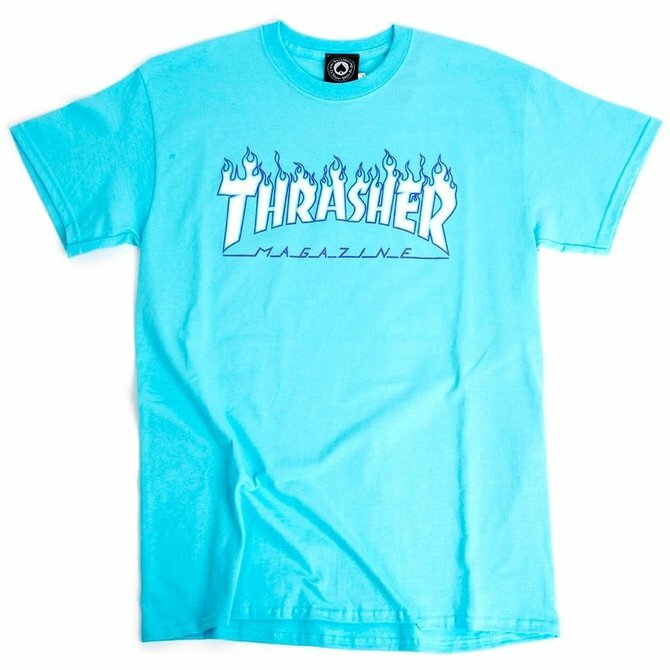 Classic Gonz Thrasher art hit in white. 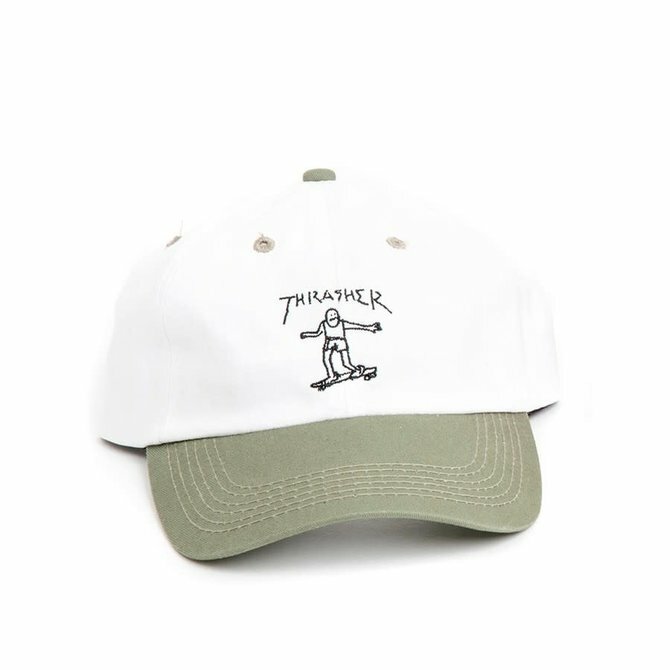 Old timer Cap White with the Green bill. Classic Gonz Thrasher art hit in Black.